CRAFT was founded in 1977 in Borås (Sweden) and has specialized in technical sportswear (first layer, bike, run, and XC-ski). The company is famous as a pioneer in performance baselayers and is today one of the world’s leading brands. At the NOVA Pilots Team we particularly like the baselayers for XC flying and the running wear for vol-biv and hike & fly. GARMIN is THE specialist for navigation worldwide – on the road, in the air, on sea or for athletes. Although the company doesn’t manufacture special instruments for paraglider pilots, the InReach devices are of particular interest for XC-pilots, hike & fly or vol-biv. They provide live-tracking and two-way short messages communication via the reliable Iridium satellite network. Also recommended: the handheld GPS-devices and sports watches such as the Fenix series. 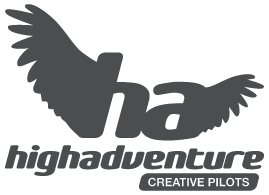 High Adventure was founded in 1994 by Urs Haari. Until today, Urs is one of the world’s best XC pilots. 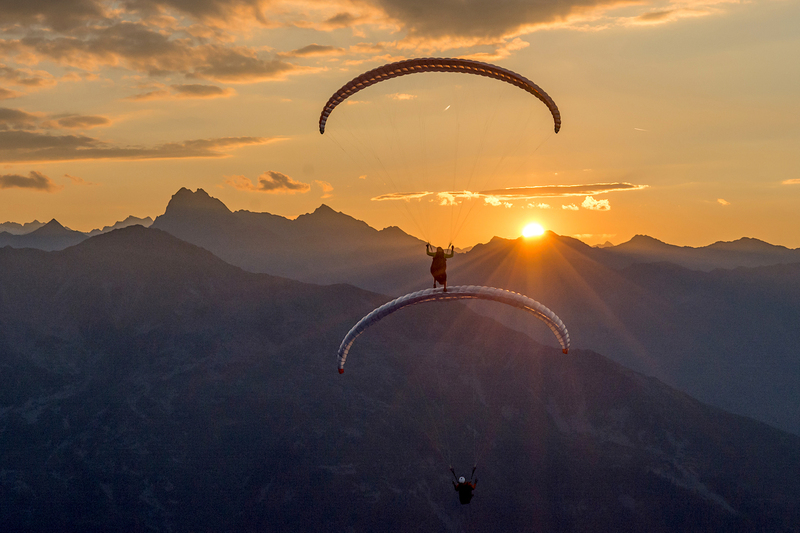 He and his team import NOVA and other paragliding brands into Switzerland. In addition, the develop their own great products. Among them is the famous reserve Beamer, which several team pilots use. Julbo is a family-owned business based in the French Jura. Since 1888, the brand consistently added unique technical value to eyewear. A partner of the best outdoor moments, their photochromic Reactiv technology continues to amaze and convince the most demanding sportspeople, providing perfect vision whatever the weather. The attractiveness of Julbo’s sunglasses collection remains unrivalled as they continue to add innovations. The frames reinvent the concepts of field of vision, comfort, ventilation and performance for all types of discipline. Since 1928 La Sportiva has been producing technical footwear for all outdoor activities, including niche mountaineering categories. The family owned business is based in Val di Fiemme (Italy) and can be considered world leader in the production and sales of climbing shoes and specialty, high altitude mountaineering boots. Today, the company has expanded into approach and mountain running, thus covering the full range from hiking to ski mountaineering. ProteGear offers tracking, security and communication solutions for athletes, expeditions, events, companies or organizations. The company from Stephanskirchen near Rosenheim offers the *Alive, the only tracking device that runs via satellite as well as the mobile phone network. ProteGear is also a competent partner for Garmin InReach devices and offers its own flexible data tariffs for the Iridium satellite network.